The Institutional Chaplaincy Department joined in the Parish Ministry Conference held at Marymount College, July 10-13. You can view the article posted on the OCA website here. In the morning of July 11th, Fr. 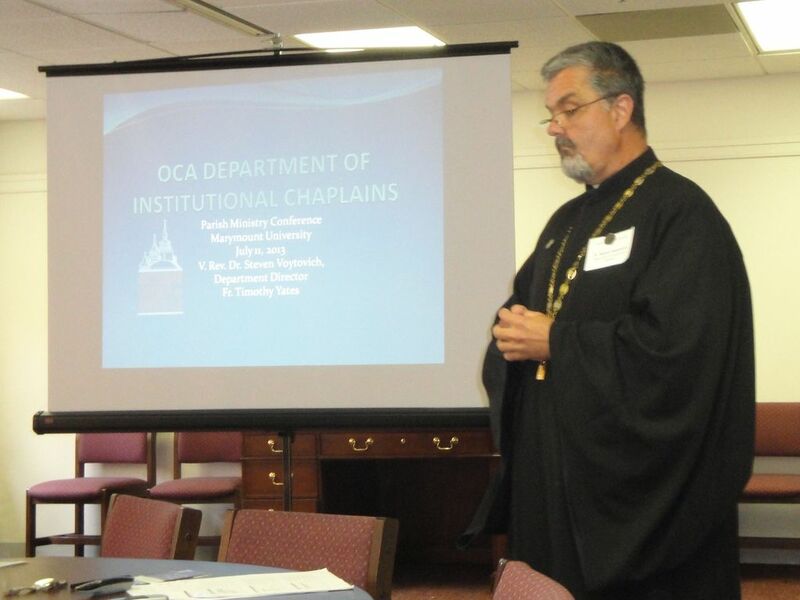 Steven Voytovich, Department Director, presented on the work of the Institutional Chaplaincy Department, celebrating ten years of formal institutional chaplaincy endorsement! In the presentation he also shared two dimensions focused on clergy continuing education: lessons learned from Storm Sandy in terms of local congregations collaborating in supporting local institutional caregiving institutions, and a brief presentation on "Caring for the Caregiver" as effort to support staff who continued to care for patients while trying to re-assemble their own lives. The second part of the presentation was focused on experiences of those currently engaged in Clinical Pastoral Education (CPE). As Logan Johnson was unable to present on his residency CPE experience, Fr. Timothy Yates was able to come and share about his experience of residency CPE currently underway at Palmetto Health System in South Carolina. In addition to his overview, Fr. Timothy shared some challenging ministry vignettes. In the afternoon, Fr. Steven and Nancy VanDyken, representing the Department of Christian Service and Humanitarian Aid, presented on the program Compassion-in-Action that has been under collaborative development. The presentation sought interested persons to serve as mentors along with parishes interested in applying to field test the program. It was a joy to participate in this program that highlighted so many facets of our OCA at work! 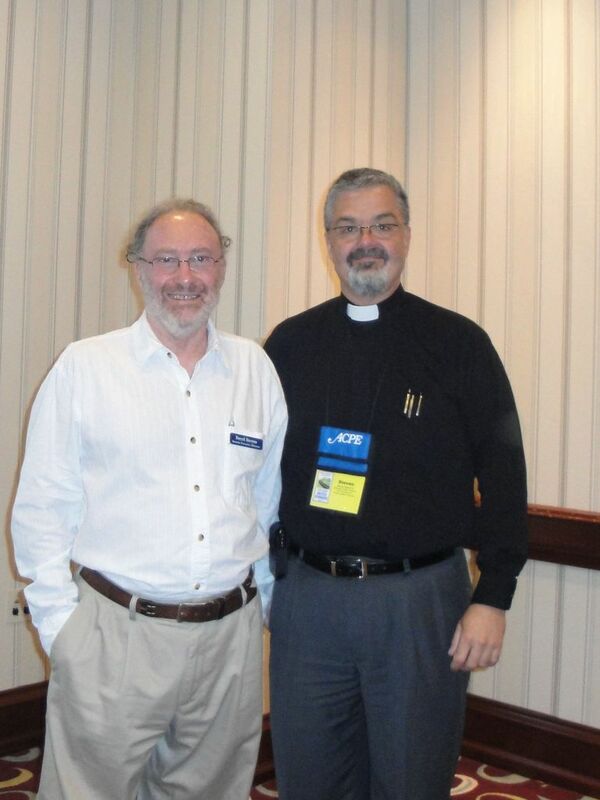 The Association for Clinical Pastoral Education (ACPE) is one of several credentialing bodies that either certifies those desiring to serve as chaplains and/or CPE Supervisors, and accredit training programs. Please click here to read full story posted on OCA website. ACPE certifies CPE Supervisors who go beyond initial 1600 hours of supervised training to learn to run CPE programs, and accredits CPE programs across the country. Fr. Steven Voytovich, with the assistance of our OCA Chancery staff, submitted an application to be formally recognized as a member of ACPE, reflecting one move among may to be more fully engaged in the greater pastoral care and counseling community. The application was accepted during the May 2013 meeting of the ACPE Board, occurring in conjunction with the national conference in Indianapolis, Indiana. This is wonderful timing in celebration of the Institutional Chaplaincy Department's ten year anniversary in serving the church through formal endorsement. ACPE is the lone credentialing body where such formal membership is reflected at their board level. An at-large endorsing position is included among the board members. This represents a historical relatedness between faith traditions and the clinical training movement as outlined in the article on the OCA website. The second photos shows some of our endorsers meeting for breakfast with Deryck Durston, who shortly after this gathering stepped down as Interim Executive Director of ACPE. During his tenure he worked diligently to develop a stronger and more effective working relationship between endorsers and ACPE, and will remain a liaison in order that this relationship remains strong. Part of the role of each endorser is to attend credentialing body meetings to meet with those who are members from our respective faith communities. 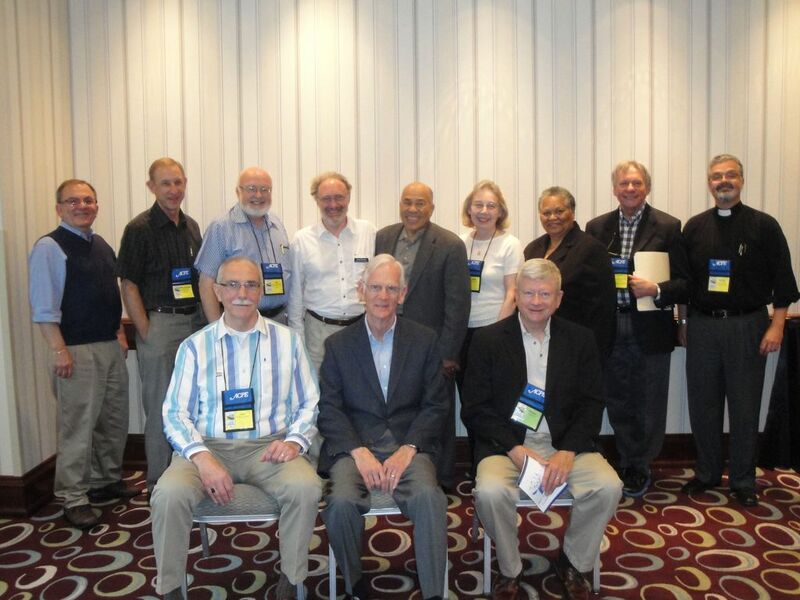 The COMISS Network will be meeting on January 13-14, 2013 in Alexandria, VA. Credentialing Bodies, Religious Endorsing Bodies, Professional Chaplaincy Organizations, and organizations employing chaplains are all represented at this meeting. Archpriest Steven Voytovich will be attending on behalf of the OCA. 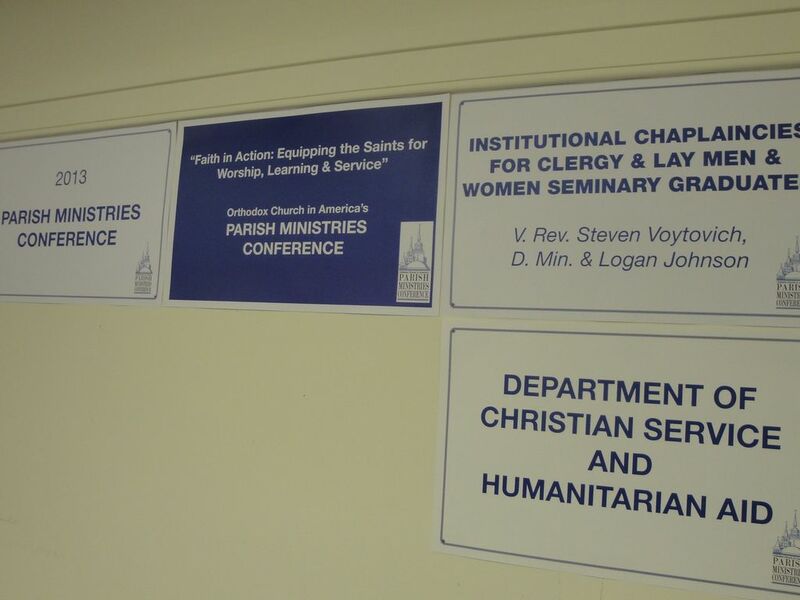 In addition, other meetings follow the COMISS Network during the course of the week at the same location that includes military chaplaincy organizations. 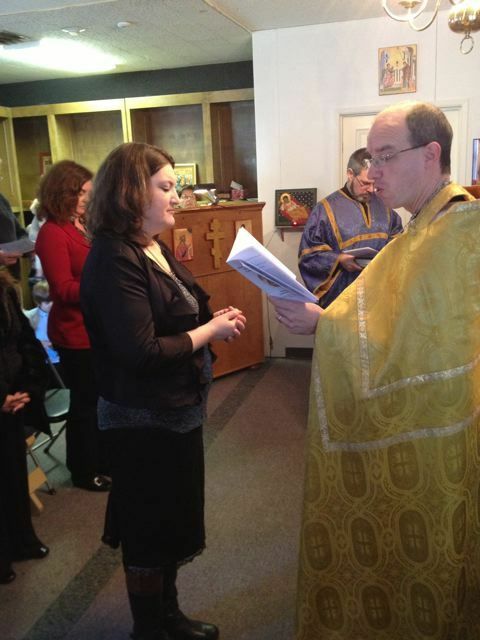 On January 13th Anna Nikitina was commissioned a chaplain at St. Nicholas of Japan Orthodox Mission, Redding, CA. Fr. Ian Burgess celebrated the Commissioning Service with the congregation gathered. Anna is currently serving as Chaplain at Mercy Medical Center, also in Redding California. Anna is currently seeking certification as a Board Certified Chaplain with the Association of Professional Chaplains. May God grant Chaplain Anna, Fr. Burgess and the faithful of St. Nicholas Mission many blessed years! 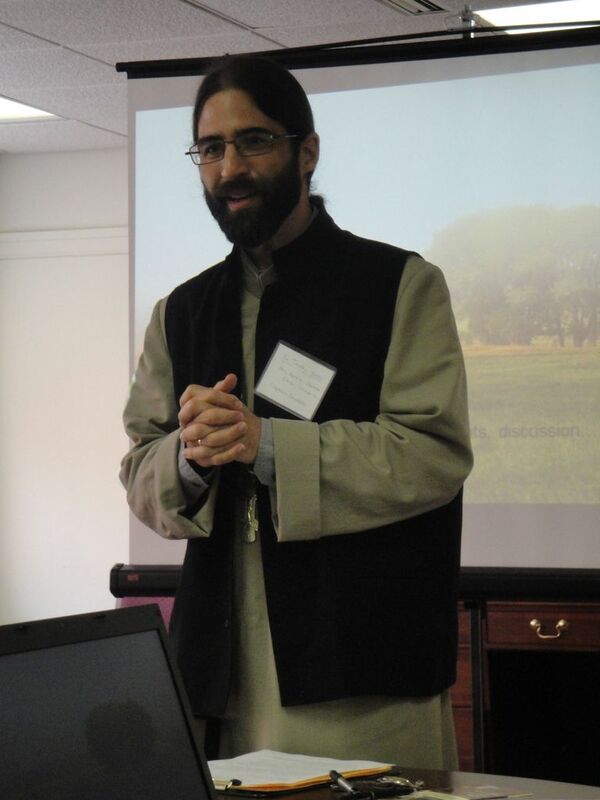 The Association of Religious Endorsing Bodies (AREB) met in Alexandria, Virginia on January 10th and 11th. Fr. Steven Voytovich, currently chair of AREB, welcomed Protopresbyter William Bartz, Chancellor of the Detroit Metropolis of the Greek Archdiocese. 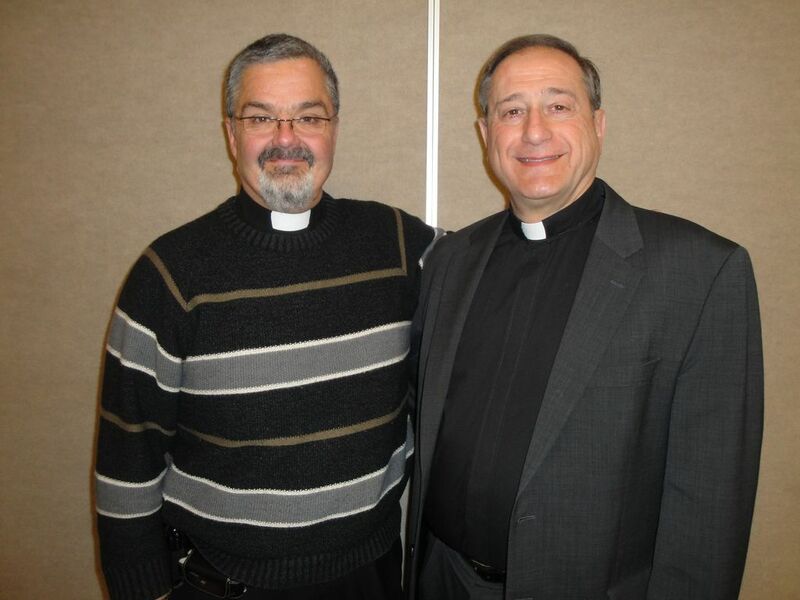 The Greek Archdiocese recently adopted formal endorsement for institutional chaplains, and Fr. William, in participating in the preparation for this action, represented the Greek Archdiocese at the AREB meeting as well as at the COMISS Meeting (Commission on Ministry in Specialized Settings, now known as COMISS Network). Fr. William is a former Navy Chaplain. You can also click here to see Fr. Bartz photographed standing with Metropolitan TIKHON and Fr. Boback, our OCA Military Endorser during Military Endorsing Meetings following Institutional Chaplaincy meetings in Virginia. The Association of Religious Endorsing Bodies will be meeting in Alexandria Virginia on January 10-11, 2013. Fr. Steven Voytovich is currently serving as AREB Chair. According to Fr. 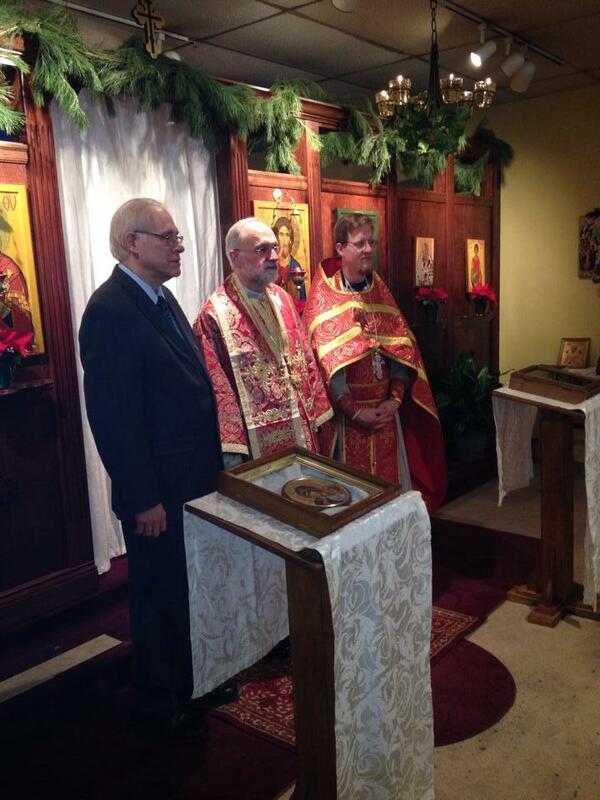 Justin Patterson, pastor of St. Athanasius Orthodox Church in Nicholasville, Kentucky, Chaplain Danny Partin was Commissioned with the OCA Commissioning Service during the 2013 Nativity Feast, by Bishop Mark who was visiting. May God grant Chaplain Partin many blessed years! In 2013 the OCA instituted a formal continuing education requirement for clergy that adds up to 20 hours each year. In communication with Fr. Ian Pac Urar, our chaplaincy continuing education (numbered for most credentialing bodies at 50 hours per year) can count for most of those 20 hours. To have your continuing education credited, for each course/conference/educational experience you complete, fill out the form from the OCA website that you can link to here. The Continuing Education Department is requiring all clergy to complete 5 hours as designated by them. We are continuing the discussion that includes our chaplains perhaps participating in offering some of the continuing education. I believe we are given until March to register continuing education for 2013. Please note that as your endorsing representative, you are asked to forward each year your continuing education report updating your chaplaincy work with the Department of Institutional Chaplains. Thank you!